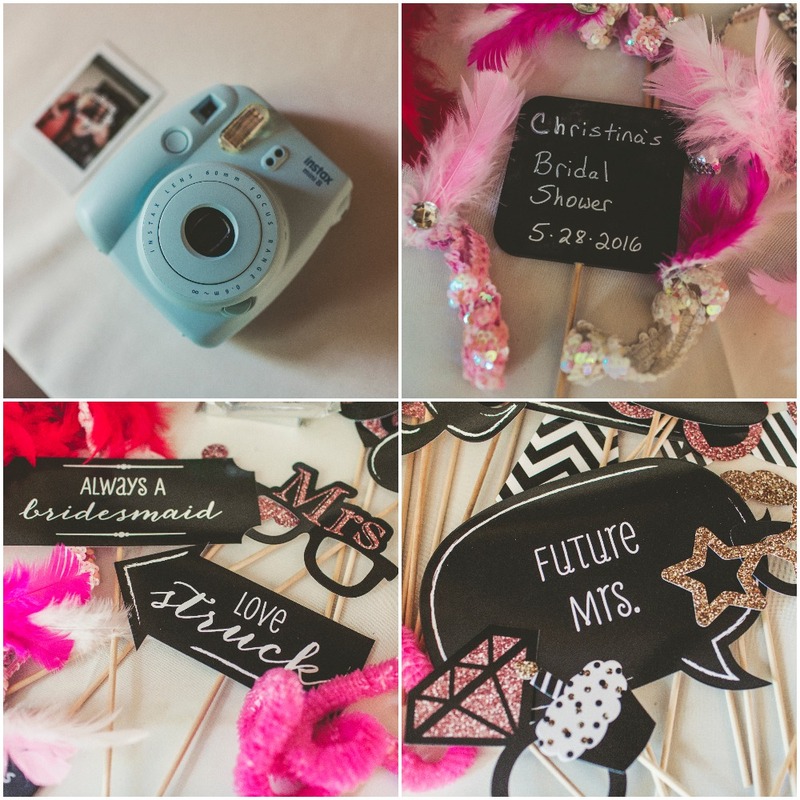 My sister’s bridal shower was this past Saturday May 28, 2016. Myself and the other bridesmaids have been planning for months. We’re so excited to share the details of this English garden party theme with you! The events of the shower will be divided up into two parts. (You can find part 2 here.) This first part will focus on the planning of the shower and give you some tips along the way. 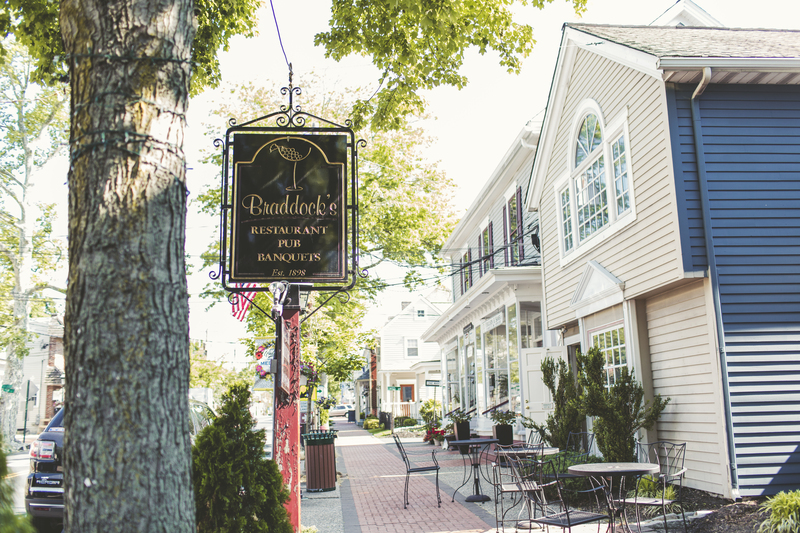 We chose Braddock’s Tavern as the venue which was established in 1898. The chandeliers, mirrors, and even the picture frames are ornate with gold coloring making us confident an English Garden Party theme was the way to go. Once the venue was booked we officially moved into the planning stages! With me being in WV, another bridesmaid Maria in NJ, and my youngest sister Kelly in Japan we unfortunately couldn’t work on anything together. If you find your bridal party scattered, or you’re having trouble getting on the same schedule, it’s best to divide up the planning duties. The three of us Skyped or Facebook messaged to talk about details. Kelly decided she would create a couple of games since she has experience with Photoshop. Maria worked with Christina’s fiancé Jim on a match game and made gift bags for our lucky winners. I worked on a game focusing on the couples travels in Europe, which will be talked about in more detail in the next post. Both Maria and Kelly knew I was dying to make centerpieces. Starting as early as March the hunt was on to find everything garden party: silver trays, colored vases, spring flowers, mini lanterns, etc. All of the flowers were purchased at the thrift store and Dollar General. If you have any hope of finding spring flowers locally at a decent price, you must buy them around Easter. Purchasing from the craft store or online can be expensive. Buying decor a little at a time will save you money. 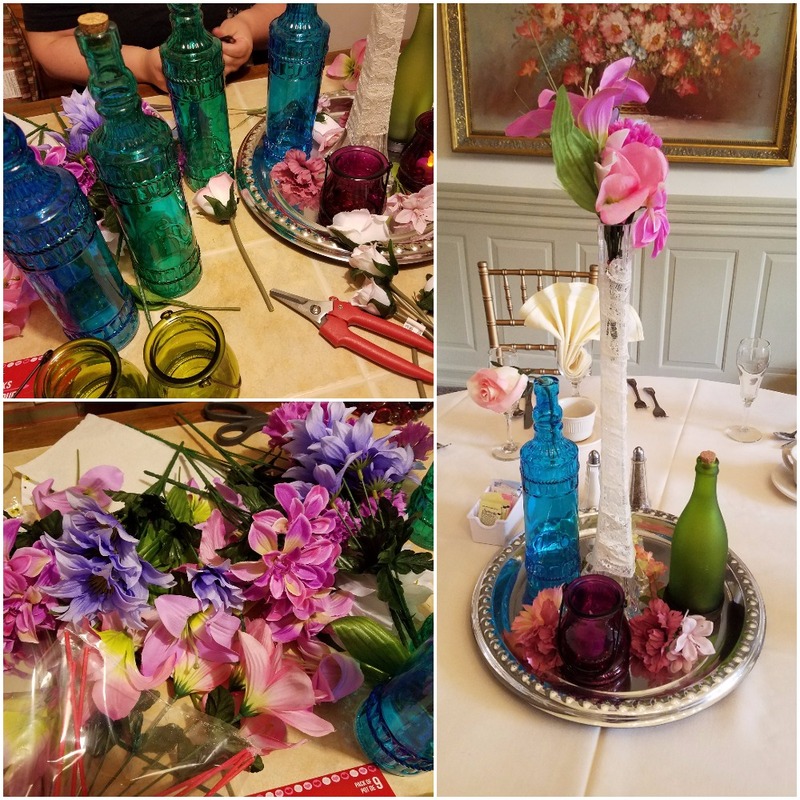 The small garden lanterns were $2 a piece in the seasonal aisle of the local grocery store, the tall green and blue colored vases were discovered at Dollar Tree, and the silver trays and fake wine bottles were from Family Dollar. To make sure it all comes together, remember to ask yourself: does this fit my theme? If you haven’t already joined a local wedding sale group on Facebook, you really should. Those Eiffel tower vases cost anywhere from $15 to $40 a piece, and that is a conservative estimate. When we saw 20 of them for $25, we messaged the seller immediately and were lucky enough to get them. With these groups you get great deals since most sellers are brides, and the items have only been used once at their wedding. Anticipating that not everyone would arrive with hats, we made a few of our own to share. We found these hats at a number of places, the last being the local Dollar Tree. For more festive hats, take unused flowers you purchased for the decor and hot glue them on. 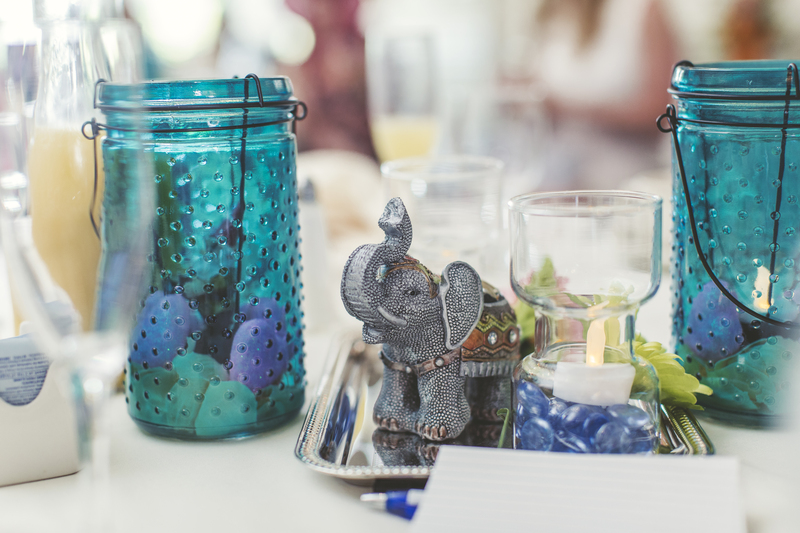 Think back to bridal showers you have been to in the past. How many of them do you remember what the favors were? … any? … Of the ones you remember, how many do you still have? … a few? The rule of thumb to be successful with favors is to give food or to give something useful. The definition of useful varies based on your guests, but try to think of something they would reuse. If you can’t, go with some type of food or drink. We decided since it was an English Garden party we should give teabags. 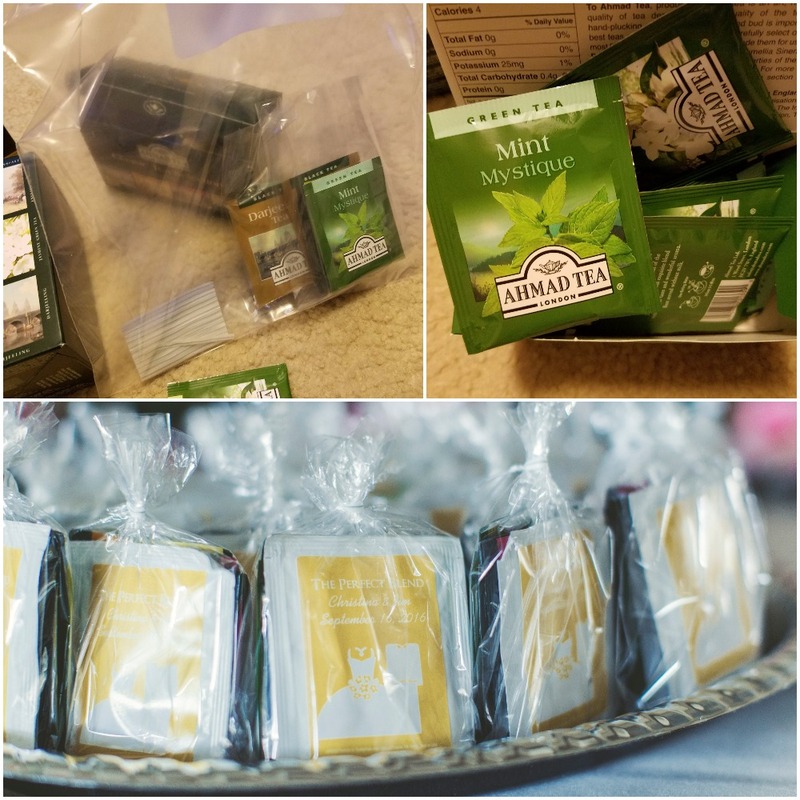 There were 3 bags of Ahmad Tea of London in assorted flavors, and a teabag in the front that said “The Perfect Blend” with the bride and groom’s name and wedding date. Are you over photobooths at weddings? We kind of are at this point. It’s starting to feel like an expected vendor, right up there with the DJ and the photographer. The reality though is they are popular because they are easy to create and a lot of fun for guests. Most prop kits are easy to put together and cost effective. The one above is from Amazon and cost $20. The only real splurge was buying the Insta Mini 8 which you can, again, find on Amazon from multiple sellers for around $50. Just have one person pay the full amount of this purchase, especially if they envision using it again, which we will. At our shower, not only did the guests enjoy getting to take home a photo souvenir, but the bride asked if the props and camera can be at the bachelorette party. That’s a real win/win. We hired a professional photographer to document the day and split the cost. Let’s play is this a professional photo? JK. Pretty obvious we weren’t getting a gorgeous detail shot like this on a cell phone. 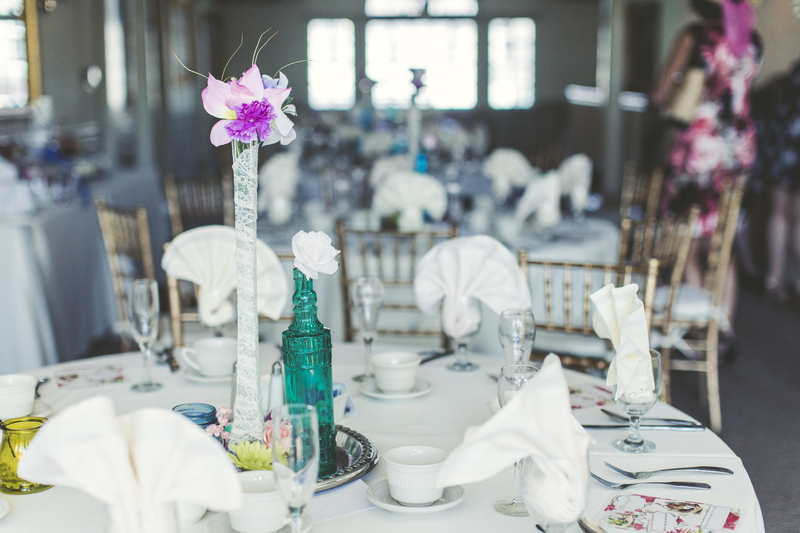 If it’s within your budget, we highly recommend you hire a professional photographer for at least a few hours of the bridal shower. You’ll have gorgeous pictures from the day and it will allow you, the other bridesmaids, and all the guests the opportunity to relax and enjoy all the events of the shower. The photographer will capture all the day’s memories without you missing out on anything that is happening. What do you think about these tips? Let us know in the comments. I’m planning a garden tea party for my birthday. Great post. Happy to hear that! Part 2 will have more pictures so stay tuned. Beautiful and so much planning and preparation – but definitely worth it! Yes. It was a lot of work but I truly do love planning a great party, especially if there is a theme involved. Plus I’m the older sister and Matron of Honor so I pulled out all the stops. 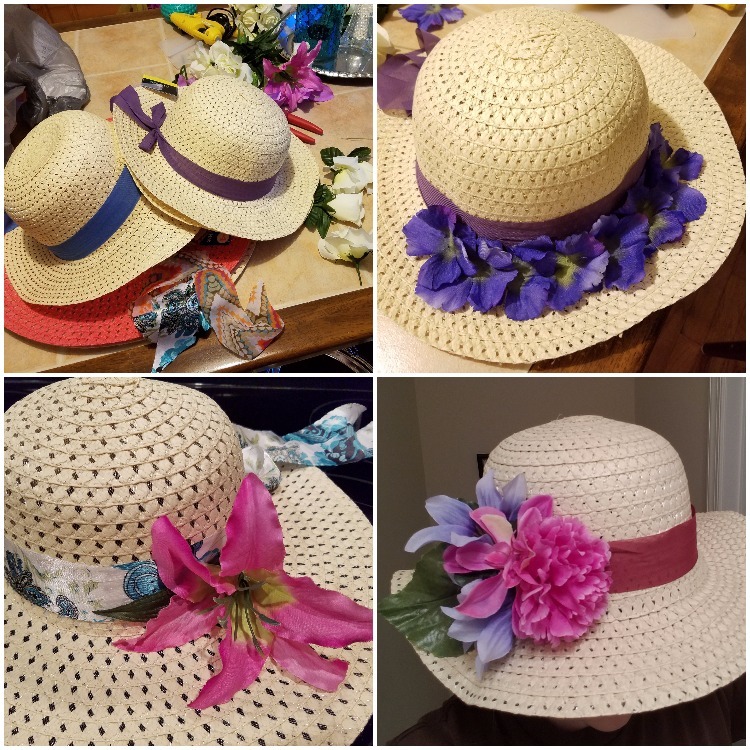 Love the hats, great idea!! Thank you! Really easy to make. What a compliment. Thank you so much! 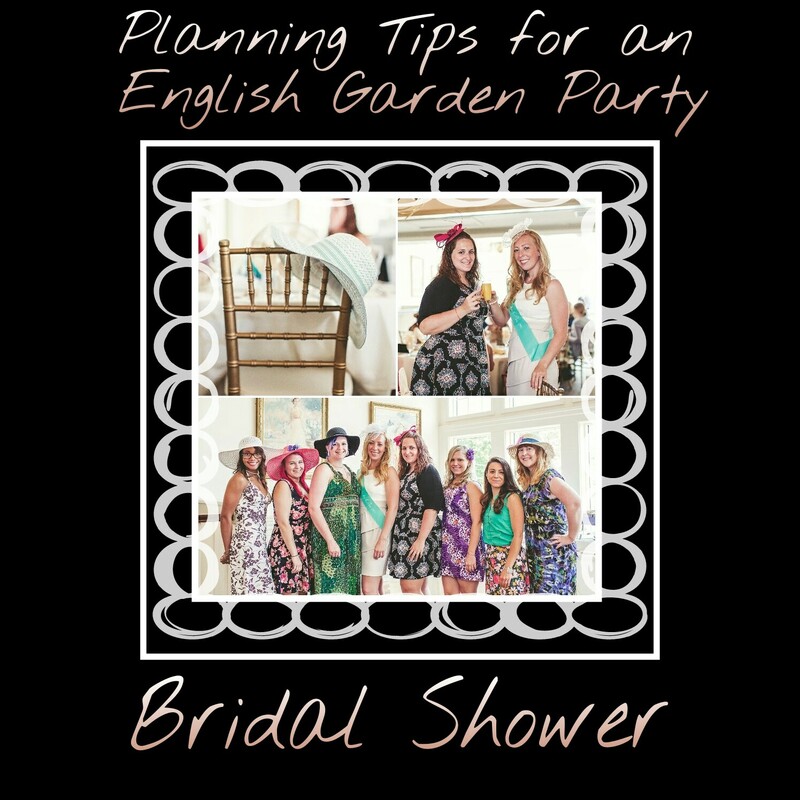 English Garden Party Bridal Shower – Part 2Bridal Shower, Bridesmaids Confess!